Game-based math is the best! 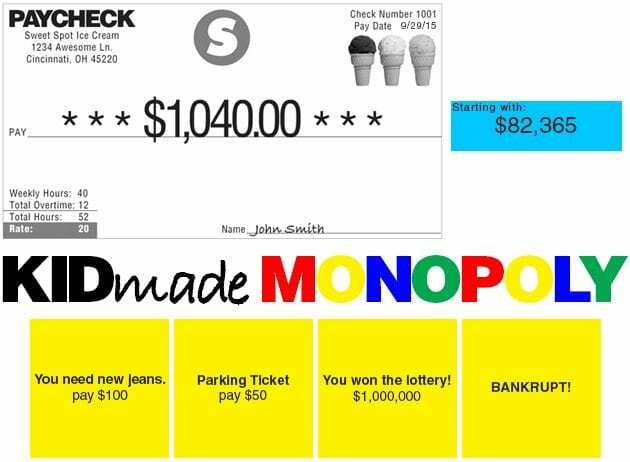 When practicing addition and subtraction with decimals, why not do it with a fun game of Monopoly made by your students? 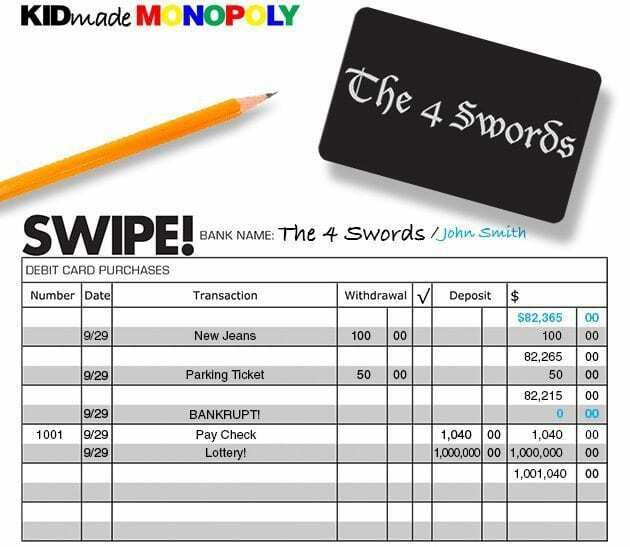 After students design their card, they think up a variety of different scenarios in which they might lose or gain money. Each student writes one of each (example: “Your air-conditioning went out, pay $200” or “You inherited $1,000”) on scrap paper. Once students write their scenarios, they fold their papers and put them into a basket. Next, students are given their register (Swipe recording sheet) to write their transactions (the different scenarios). They write their bank name and their name on the top (see example). Then the teacher randomly assigns each student an amount of money to start out with (example: $82,365). Have your students pull their amount out of a bag so that they don’t claim it isn’t fair that they don’t have as much money as another student. This game is all about luck! Now you’re ready to play! Have students sit in a circle. This game is best played in small groups. Students take turns pulling out a scenario from the basket. They either withdraw or deposit money. This gives students practice adding and subtracting decimals. They must line up their numbers and record their new amount of money after each scenario. Some scenarios might leave some of your students bankrupt! Included in the PDF is a paycheck. All of the students work at the Sweet Spot Ice Cream Shop. 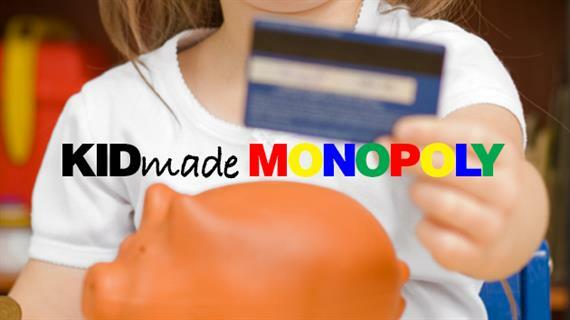 Pass out the pretend checks and everyone earns some more money to add to their accounts! Once everyone’s register is filled and they have recorded the final amount of money they have in their checking accounts, have students write down their amounts on the board. Compare and contrast the amounts. Which number is the greatest? Did anyone have equal amounts of money in their checking accounts? Encourage students to use the greater-than, equal-to and less-than signs. For more fun learning games, check out Erin’s blog E Is for Explore!